Do you remember where you were when you first heard that Pluto wasn’t a planet anymore? I don’t. But I do remember how I felt. It was a surprise, a shock. Like being told there is no Santa Claus. No Easter Bunny. No God. “There are only eight planets now in our solar system,” the scientists had said. And this fact would now be taught in schools. Suddenly, a fundamental part of my solar system was no longer invited to the table. I might be being a tad dramatic, but the loss of Pluto did represent something significant for me. It was the dismantling of a long-held belief system; a symbol of the end of innocence. It proved that nothing – not even a constant out there in the universe – is forever. And it caused me to pose more questions where I thought we had all the answers. 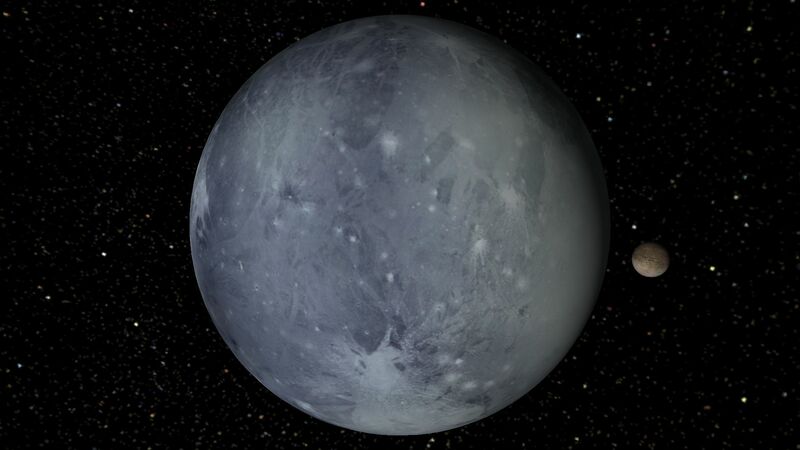 What is Pluto if not a planet? It turns out that Pluto is a proto-planet, frozen at a stage of development that all of the planets in our solar system went though. It is just one, perhaps the largest, of many objects in the Kuiper belt – an enormous region of space made up of small remnants from the early days of our solar system’s formation. I have soft spot for Pluto and you will see why if you read my book. Pluto is the only other planet in our system with a personality. It’s the consummate outsider, living at the far end of our solar system looking in. It’s the misunderstood teenager listening to music in the basement. The underdog. The one who writes poetry. The one no one understands. The one everyone is trying to define. Pluto is also the only planet in our solar system that has yet to be studied or photographed up close. All that is about to change. A satellite called New Horizons is currently on its way to visit the dark planet. It was launched in early 2006, before Pluto was declassified. It has set the record for the fastest man-made object ever made. And slowly, over the past nine years, it’s been inching its way towards its destination. New Horizons will arrive soon, on July 14, 2015 (watch New Horizon’s Pluto flyby). When it arrives we are going to learn so much more about our solar system and how it was made. I find that poetic. That we have a lot to learn from the outsider. That we are just like him at our core. I know that this will not be the end of the story. Pluto lost its status so fast, it could regain it again just as quickly (Alan Stern, the chief scientist of the New Horizons mission recently challenged famous astrophysicist Neil deGrasse Tyson to a debate on Pluto’s planethood). And I know I am not the only one whose imagination has been captured by this, who is rooting for Pluto to take its rightful place in the sky.